This necklace SPARKLES!!! 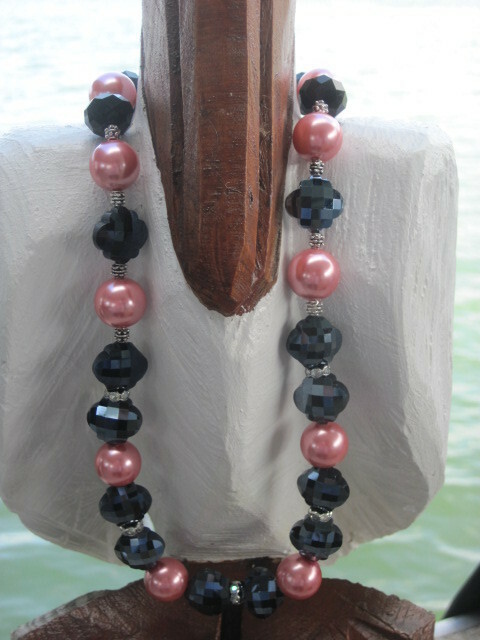 It has pink glass pearls and faceted midnight blue/black beads accented with rhinestone rondelle spacers. The necklace measures approx. 20 1/2" and is secured with a base metal toggle.